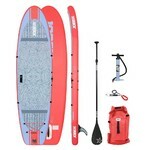 Medium fast paddleboard with round nose and tail; extremely lightweight; high stability; medium maneuverability; paddle, backpack, pump, leash and fin included. 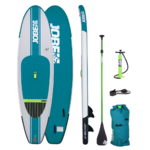 The Paddleboard with Accessories Jobe Aero SUP Yarra 10.6 – 2018 is suitable for those who want to have fun on the paddleboard, which is why its tail and nose are round. 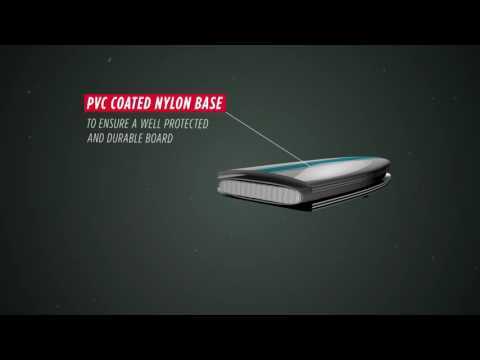 All of the above and the large fin on the bottom contribute to the high stability and maneuverability of the 10.6 Aero SUP Yarra Paddleboard. Because of its wide board and the 120kg weight limit, it is suitable virtually for everyone. In the bow, there is an X-shaped elastic backpack/water bottle holder. 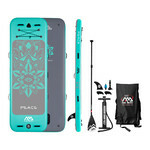 The set includes the adjustable fiberglass paddle, the pump, the fin and the paddleboard leash. Everything is packed in a stylish backpack which is the same color as the remaining parts of the set. 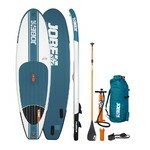 The Paddleboard Jobe Aero SUP Yarra 10.6 is intended for lakes, rivers and canals. 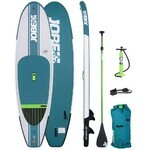 length - when choosing paddleboard length, you should consider how you intend to use it. 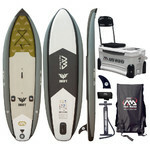 short boards (under 270 cm) are great for surfing and are more maneouvrable than longer boards. average boards (between 270 and 370 cm) are suitable for multi-purpose use. 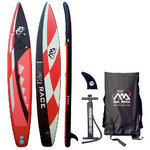 long boards (between 380 and 430 cm) are suitable for racing or traveling. They are faster than the previous types, but more difficult to control. 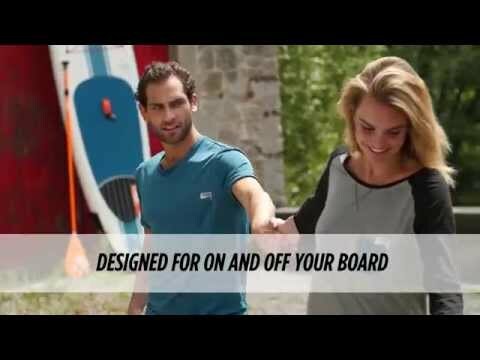 width – board width is an important factor when determining the stability of a paddleboard. Generally speaking, the wider the paddleboard, the more stable it is. wide boards (over 78 cm ) – much more stable, it is easier to stand up on them, slower.